Big Retail Changes are Coming to Bloor-Yorkville! You are here: Home / Big Retail Changes are Coming to Bloor-Yorkville! Changes to the retail footprint of Bloor-Yorkville are in the works, and we are excited to see the new openings and relocations, which will happen over the next few years. 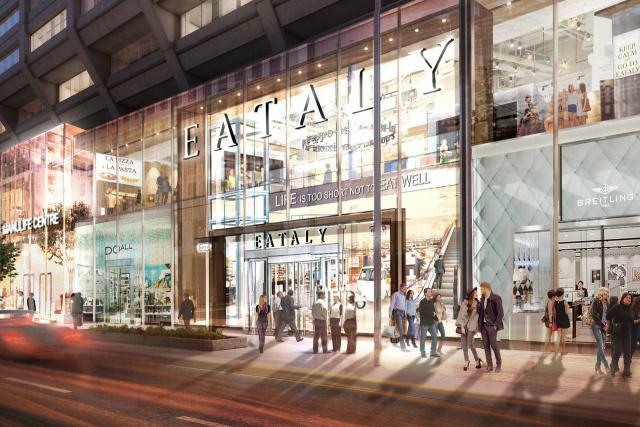 Spanning 50,000 square feet, over three levels, Eataly is a major coup for the neighbourhood. The $100 million redevelopment of the Manulife Centre will see an expansion of the retail area of approximately 35,000 square feet, and will feature a glass façade. As well, several current retailers will be undergoing renovations. Construction will begin in early 2017, with the anticipated completion date of early 2019. Although the Manulife Centre has been in the spotlight lately, with their $100 million renovation plan in the works, The Colonnade is certainly welcoming big changes as well. William Ashley China is heading west to a temporary “pop-up” space (partial space of the former Sephora location) at 131 Bloor Street West, while their permanent location is being built. The new retail store will have a space of approximately 15,000 square feet over two levels. The main level will be 1,000 square feet, taking over the Colonnade’s lobby. The second floor will be 14,000 square feet, taking over a large portion of available space. The new space will have plenty of natural light, 23 foot ceilings and a dazzling new interior. Keep an eye on our Blog for opening dates. The space previously occupied by Chanel and The Japan Foundation, will have their massive expansion renovations starting soon, with the end result being a retail space of approximately 13,400 square feet spread out on two floors. We are anxious to see what the interior of the store will look like, as many Dior locations reflect the Peter Marino-designed Dior Flagship in Paris. In Vancouver, the store features a Louis XVI style marble and bronze antique fireplace, and original artwork commissioned from contemporary artists. Our Toronto location will surely be the talk of the town! French-Italian luxury brand clothing and sportswear retailer, Moncler, will open its third freestanding Canadian store at 131 Bloor Street West (The Colonnade) later this year. The Bloor Street Moncler store will measure about 2,500 square feet (partial space of the former Sephora location). The first freestanding Toronto location features elements of steel, marble and wood and we anticipate the same elegance at our Bloor-Yorkville location. Check back for updates! The new flagship location of Chanel will open by summer 2017, as renovations at 98 Yorkville Avenue continue. The previous location on Bloor Street closed its doors on December 31st, and opened a huge ‘pop-up’ location on the second level of Holt Renfrew, 50 Bloor Street West. 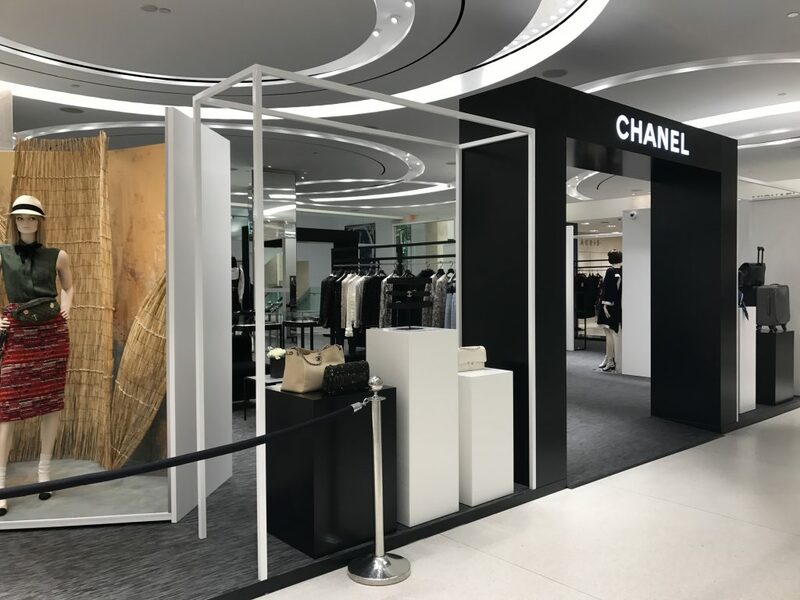 Chanel’s clientele will not miss out on the latest in fashion, while we await the opening of the Yorkville Avenue location. Check back in the spring for updates on all the exciting Bloor-Yorkville retail news!